JOE CON 2010 BOX ART For the RED SHADOWS Set- BLOOD FOR THE BARON!!! I ant post a link as Im on iPhone but over at Yo Joe they reckon that the bunker in the background could be a reused SW Endor bunker. 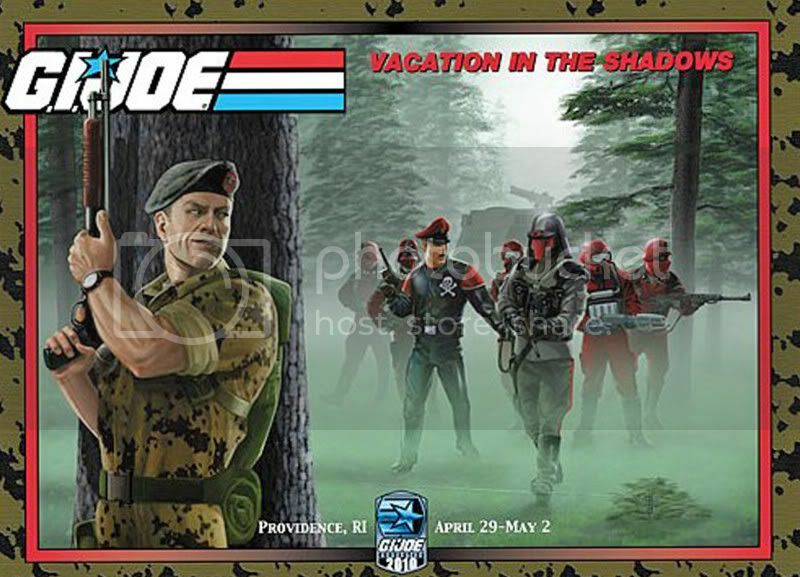 It looks good but Flint's camo pattern makes me feel queasy and that should have been the Baron by Black Major not Interrogator to me it confirms what I feared the Red Shadows are just another part of Cobra not the separate organization we all know. They could be sneaking up behind the interrogator chap while Flint gets ready to ambush them? Least I hope that's what's happening there. Now, do I see a Hyena in the back?